The Crazy Bookworm: GIVEAWAY: The Jungle Book(2016) on Blu-Ray! "In an epic adventure, Mowgli, a man-cub raised in the jungle by a family of wolves, is forced to abandon his home when fearsome tiger Shere Khan promises to eliminate him. Guided by stern Bagheera and free-spirited Baloo, Mowgli embarks on a captivating journey of self-discovery." Connect with The Jungle Book Facebook, follow The Jungle Book on Twitter, and on Instagram. Bonus features include ⦁ “The Jungle Book” Reimagined ⦁ I Am Mowgli ⦁ King Louie’s Temple: Layer by Layer ⦁ Audio Commentary. Feature Run Time: Approximately 106 minutes Rating: PG in U.S. and Canada. 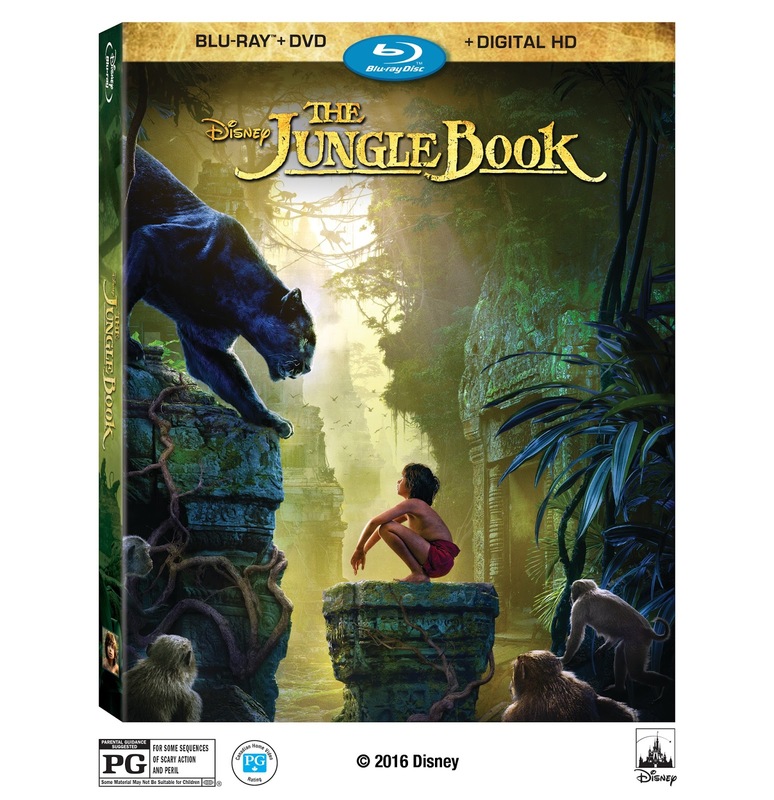 Courtesy of Disney Entertainment, I have 1 Blu-Ray Copy of The Jungle Book to giveaway to one lucky winner! I saw it in IMAX 3D and it was amzing! The Jungle Book was my favorite movie as a kid. I haven't seen this one yet though. I haven't seen this new Jungle Book, but I really want to. It looks beautiful. I remember that the animated Jungle Book was the first movie I went to the theater to see with my aunts. I've seen multiple versions of The Jungle Books and read the book as well. I was able to see it in IMAX 3D and it was awesome! The best way to see it! I saw it as a kid and remembered the excitement of thinking that I can always running away and live in the woods! I haven't seen it yet. I wish I had read the book. But I look forward to seeing Baloo. Saw it and loved it. Its funny because the animated one I'm not a huge fan of, its not in our movie collection but this one... YES, so good! I haven't seen it. I look forward to the CGI. I haven't seen the new one yet, but i have a lot of great memories of the old one, so i can't wait to see how they reinvision the characters.